A blood cancer survivor is holding an event to encourage people who live, work or study in Warrington to join the UK stem cell donor register. 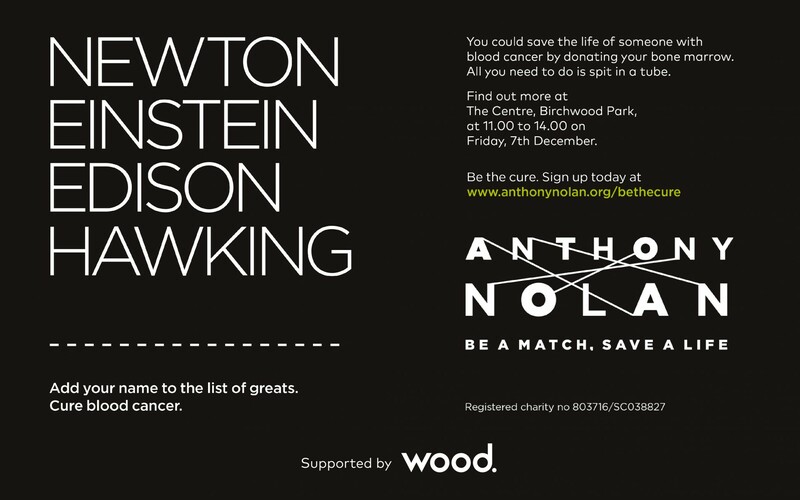 Marcus Williams, 44, is encouraging them to come to The Centre in Birchwood Park on Friday 7th December between 11am and 2pm and potentially save a life by joining the register of transplant donors run by the Anthony Nolan charity. The event is supported by global project, engineering and technical services company Wood, where Marcus, from Wigan, works as a business development manager, and by Birchwood Park. 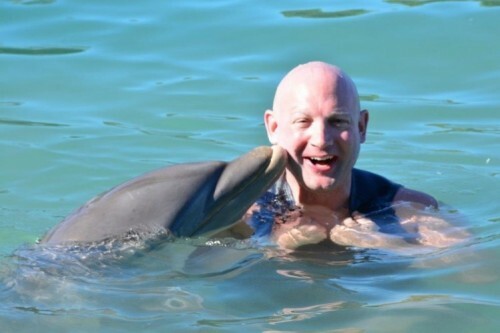 Until he was diagnosed with anaplastic large cell lymphoma in April 2014, Marcus was healthy, exercised at the gym regularly and had just completed his first 10k run. He began chemotherapy within a month but was given the devastating news that he may only have between six and 12 weeks to live after being told he was not well enough for a transplant and his only hope was a clinical trial. However, after responding to treatment and following radiotherapy, he was stable enough for a transplant. His sister Amanda was tested and sadly wasn’t a match. An unrelated donor was found by Anthony Nolan and in November 2014, Marcus received his stem cell transplant. Despite a few setbacks during his recovery, Marcus returned to work last year and feels his life is back on track. He is using his experience to raise awareness of the need for more people like his stem cell donor, to join the Anthony Nolan register. Marcus said: ”My journey to recovery has been extremely difficult and challenging. Thanks to the work that Anthony Nolan does to support people with blood cancer, I was able to find a matching donor from the stem cell register. This experience has changed me and because of this, I am committed to raising awareness for the need for more people particularly young men aged 16-30 to join the stem cell register. Alice Hurst, regional register development manager at Anthony Nolan, said, “We are pleased that a donor was found for Marcus and are delighted to hear that he is back to enjoying the gym, rugby union and his beloved Watford FC. Anthony Nolan saves the lives of people with blood cancer, such as leukaemia, by matching them to people willing to donate their bone marrow, or blood stem cells, for a lifesaving transplants. It also carries out pioneering research to increase stem cell transplant success and supports patients through their transplant journeys. * We need more people from Black, Asian and minority ethnic (BAME) backgrounds to sign up. Patients from black, Asian and minority ethnic (BAME) backgrounds have only a 20% chance of finding the best possible donor match, compared to 69% for northern Europeans. * To join the Anthony Nolan register, you must be 16-30 and healthy. Anthony Nolan’s world-leading Research Institute has shown younger donors offer better outcomes for patients. Birchwood Park, Warrington is home to 165 companies and over 6,000 people from large blue chip organisations to new start-ups.